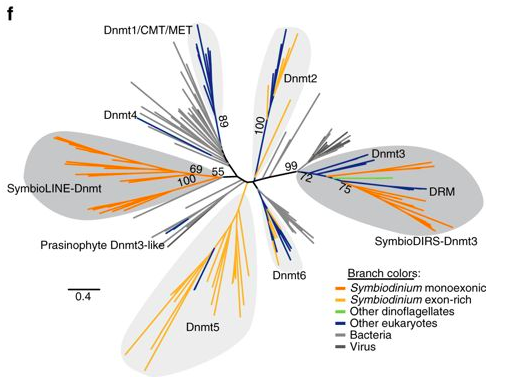 Recurrent acquisition of cytosine methyltransferases into eukaryotic retrotransposons. This June, Human Molecular Genetics published a report entitled “Genome-wide survey of parent-of-origin effects on DNA methylation identifies candidate imprinted loci in humans”. This study was a collaborative effort from Queensland, led by Professor David Evans from The University of Queensland Diamantina Institute. The study delved into the mysteries of genomic imprinting in order to identify candidate imprinted loci. For this, the authors “leveraged” genome-wide DNA methylation from blood at three time-points (birth, childhood and adolescence) with genome-wide association studies (GWAS) data in 740 mother-child duos (from the Avon Longitudinal Study of parents and children). The project was based around the hypothesis that “cis-meQTLs at genomic regions that were imprinted would show strong evidence of parent-of-origin associations with DNA methylation, enabling the detection of imprinted regions.” Using this approach the researchers identified genome-wide cis-meQTLs that exhibited parent-of-origin effects at 82 loci. By combining genetic and methylation data the researchers demonstrated that “parental allelic transmissions could be modelled at many imprinted (and linked) loci in GWAS of unrelated individuals”. The report expands on our understanding of human imprinting where the precise number of imprinted regions is still uncertain. Guidelines for whole genome bisulphite sequencing of intact and FFPET DNA on the Illumina HiSeq X Ten. This report led by Professor Susan Clark and team at Garvan Institute of Medical Research in Sydney provides an optimized WGBS methodology for both high-quality intact DNA and degraded DNA from formalin-fixed paraffin-embedded tissue, on the HiSeq X Ten platform. The study provides a complete protocol from library preparation to sequencing and data processing, “to enable 16–20× genome-wide coverage per single lane”, thus enabling larger-scale population based WGBS studies to be more cost-effective. The samples were analysed using the newly developed WGBS pipeline (METH10X), which allows fast data processing and also has the SNP calling algorithm embedded in the pipeline. 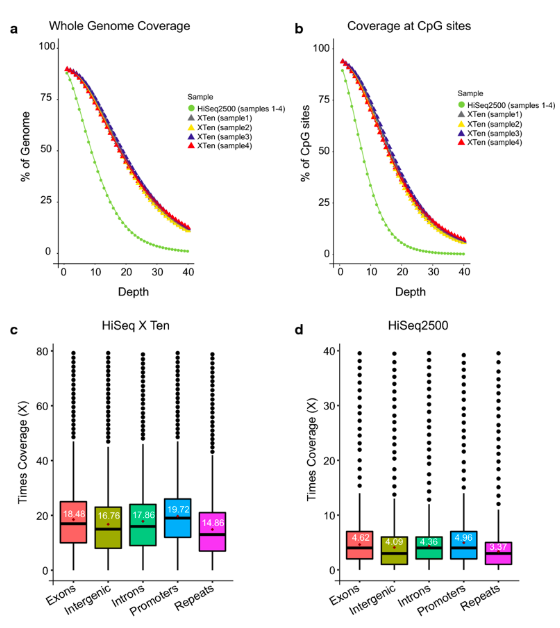 The authors further performed integrated whole genome sequencing (WGS) and WGBS of the same DNA sample in a single lane of HiSeq X Ten, thus paving the way towards an efficient and cost-effective method to explore combinatorial anlaysis of genetic and epigenetic variations on one common sequencing platform. A modular dCas9-SunTag DNMT3A epigenome editing system overcomes pervasive off-target activity of direct fusion dCas9-DNMT3A constructs. Published in Genome Research in advance this June, Professor Ryan Lister’s team at the Harry Perkins Institute of Medical Research, The University of Western Australia, reveals a modular dCas9-SunTag DNMT3A system that “enables precise DNA methylation deposition with the lowest amount of off-target DNA methylation reported to date”. In an effort to improve on the current tools for altering DNA methylation at desired loci, Pflueger et al have adapted DNA methyl transferase (DNMT) genome editing technologies and added a modular dCas9-SunTag (dC9Sun-D3A) system “that can recruit multiple DNMT3A catalytic domains to a target site for editing DNA methylation”. The authors show that by addition of this tag the DNMT3A construct becomes “tunable, specific and exhibits much higher induction of DNA methylation at target sites” than the previously available dC9-D3A direct fusion protein. This new tool will enable more accurate methylation editing and therefore “more accurate functional determination of the role of DNA methylation at single loci”. Precision medicine approaches may be the future for CRLF2 rearranged Down Syndrome Acute Lymphoblastic Leukaemia patients. From Adelaide’s South Australian Health & Medical Research Institute, Professor Deborah White and colleagues have reviewed the benefits of precision medicine in Down Syndrome (DS) patients with Acute Lymphoblastic Leukemia (ALL). Children with DS have a 20-fold increased risk of developing ALL, and Page et al. discussed the need to address ALL in these individuals due to the “poorer survival outcomes and higher treatment related toxicity” of DS children compared to non-DS-ALL patients. The authors find that since common genomic alterations observed in non-DS-ALL patients do not occur frequently in DS patients, therapies targeting such alterations are not often suitable for DS patients. The review points out that in individuals with DS, higher-risk fusions usually associated with a more aggressive leukaemia phenotype, are often observed, and suggests that this incongruence between DS-ALL and non-DS-ALL “may contribute to the higher rate of relapse in DS-ALL compared to non-DS-ALL patients”. The authors conclude that a deeper understanding of the genomic landscape of DS-ALL patients is needed, including an understanding of epigenetic alterations, which are not well characterised to date, but are likely involved in the observed gene fusions. Subsequent investigation of targeted therapies for DS-ALL may provide ways to reduce the toxic chemotherapeutic effects of current treatment on DS-ALL patients.